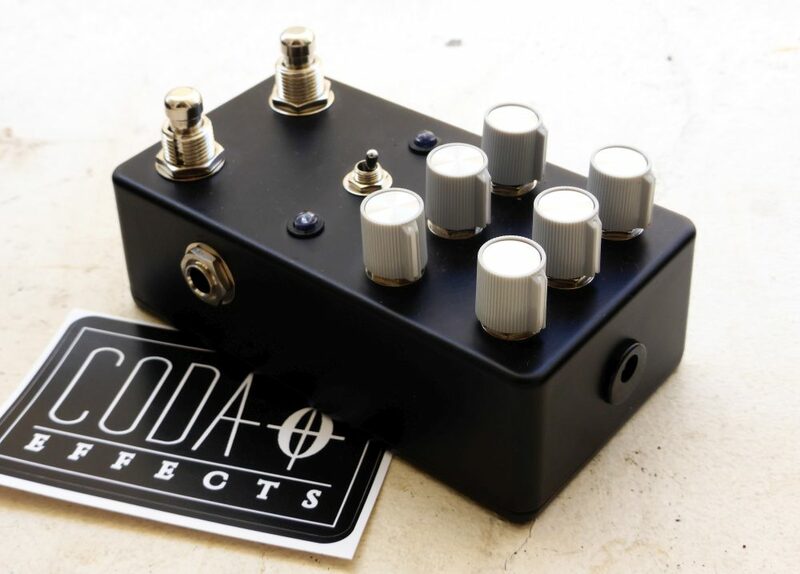 Coda Effects - Tap tempo tremolo DIY: a complex project! 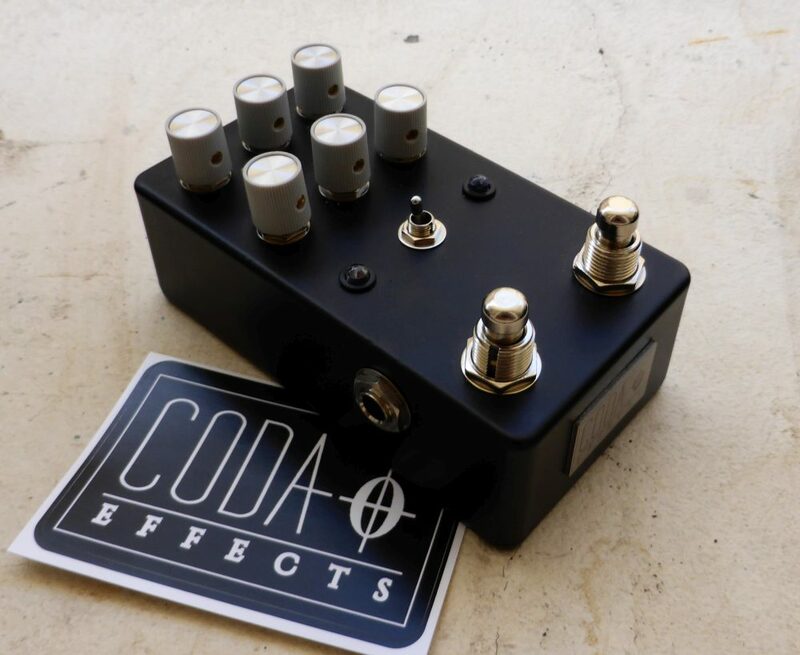 Coda Effects Builds Theory Tap tempo tremolo DIY: a complex project! 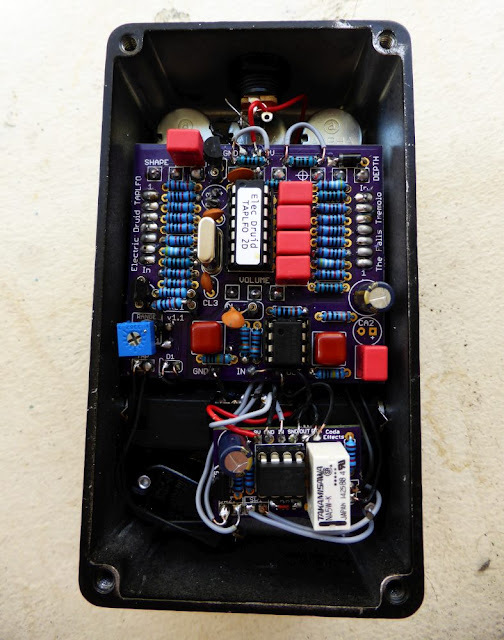 Tap tempo tremolo DIY: a complex project! I am currently prototyping a tap tempo tremolo that I conceived. It is quite a big project, and I have been working on it since nearly 6 months now! Like many guitarists, I really like the warm vintage sounds that you can achieve using tremolo (like in "Bang Bang" from Nancy Sinatra), but also the choppy madness that you can get with square waves, like in "Know your enemy" from Rage Against The Machine, or even weird stuff with high speed tremolos... A really cool effect! That is a lot of knobs! You can already notice that there are two footswitches: tap tempo (right side), and the true bypass footswitch that is a clickless relay bypass system! I used the relay bypass system that I conceived, which is completely silent, and more reliable than classic 3PDT true bypass. Indeed, 3PDT footswitches are the main reason for guitar pedal failure. The little switch in the middle of the two LED (bypass LED, and tempo LED) allows you to switch the pedal temporarily. This is nice to add some choppy stuffs while you play! 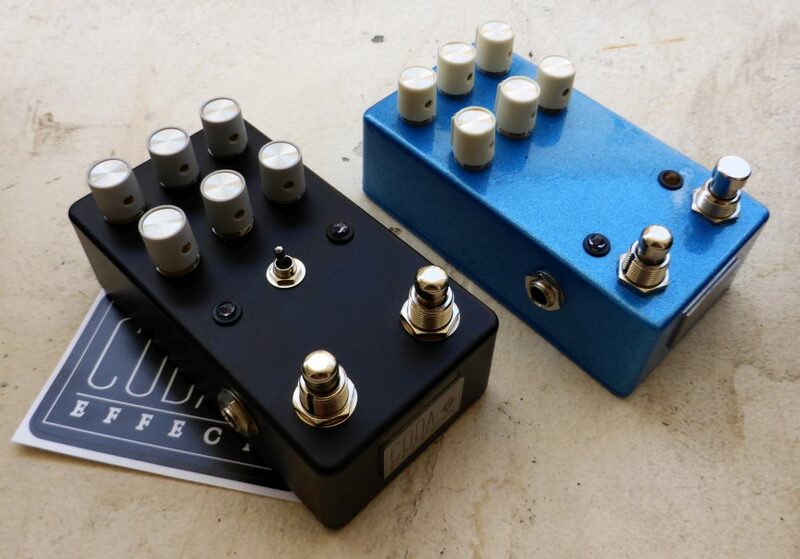 Depth: set the tremolo's deepness, from very subtle tremolo to huge choppy tremolo! Symmetry: changes the waveform, by modifying its duty cycle. Tempo subdivision switch: set the ratio between the tapping or rate knob and the rhythm of the tremolo 2:1 (the tremolo is twice slowler), 1:1 (same speed as tapping), 1:1,5, 1:2, 1:3 et 1:4! I tested different color schemes :) Here is a gutshot of the beast! How does a tremolo work? classic tremolo: changes the overall volume of the guitar. harmonic tremolo harmonique: initially developped in Fender "brown face" amps, it is a different kind of tremolo that alternatively changes the volume of bass and treble frequencies: when bass are up, trebles are low and vice versa. It is a more subtle and weirder tremolo. Lets talk about the classic tremolo! It can generate sounds (like on a synthesizer), and modulate the sound by modifying the amplitude / volume of the signal (tremolo), the pitch (vibrato / chorus), cut some frequencies (enveloppe filter / auto-wah)...etc! 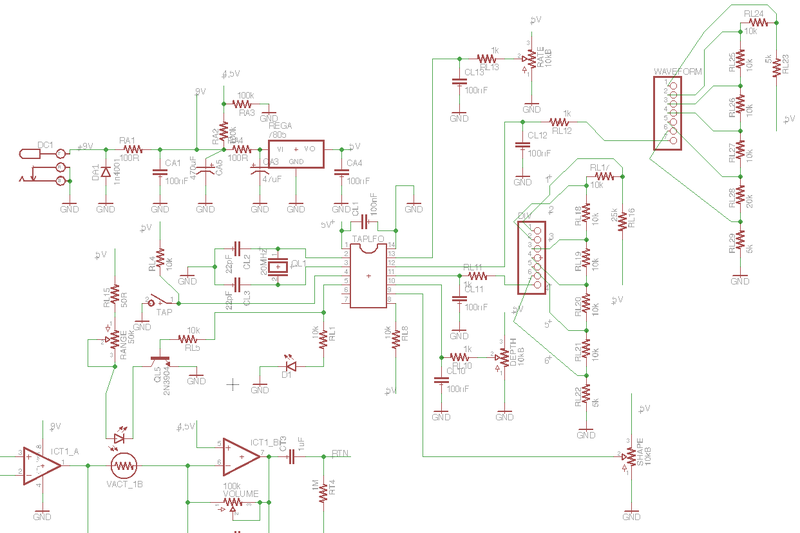 A LFO can be analog, using a double OP amp like a TL072, but also numeric like here. It can be used in different ways. 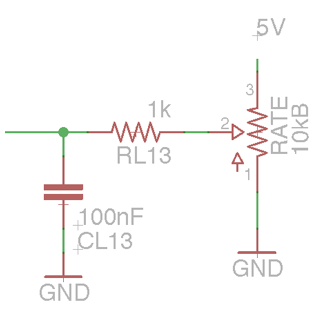 The photocell can be connected to ground, or use it to bias a tube, an IC or a FET transistor ! It does not change a lot the sound of the tremolo. The top-right one is a commercial vactrol and the bottom one a DIY one made with a LED, a LDR and heat shrink sleeve. I prefer to use commercial ones; they are expensive (around 7 euros each!) but are much more reliable and less variable from one unit to another. RT1 and RT4 are pulldown resistors that prevent noise when turning the pedal on / off. 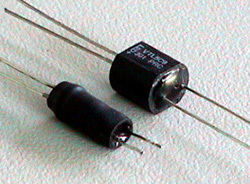 CT1 and CT3 are coupling capacitors, with a high value (1uF) to let all the frequencies goes through the circuit. A first OP amp with a gain of 1 buffers the signal, which is then modulated by the LDR (VACT_1B). Then, the signal is amplified a bit by a second OP amp , with a "Volume" pot to set the final output volume. With a 100k pot, boosting the signal a bit is possible ! What characterize the most the sound of a tremolo is the waveform of its LFO. Thus, having a lot of available waveforms is really a cool feature. This is why I choose to use a digital LFO that allow me to add a tap tempo as well, the Electric Druit TAPLFO2D! I use it to light up the LED of the vactrol, so I can use it and keep the signal analog! Electric Druid (Tom Wilshire) sells a lot of different digital chip programmed to be used in various audio circuits. Tom is very nice and very helpful, and helped me through this project. For instace TAP TEMPO IN : connected to 5V and to the switch of the tap tempo (connected to ground), PWM OUTPUT = LFO output to drive the LED, TEMPO CV : tempo division rate, WAVEFORM : to choose the waveform...ect. 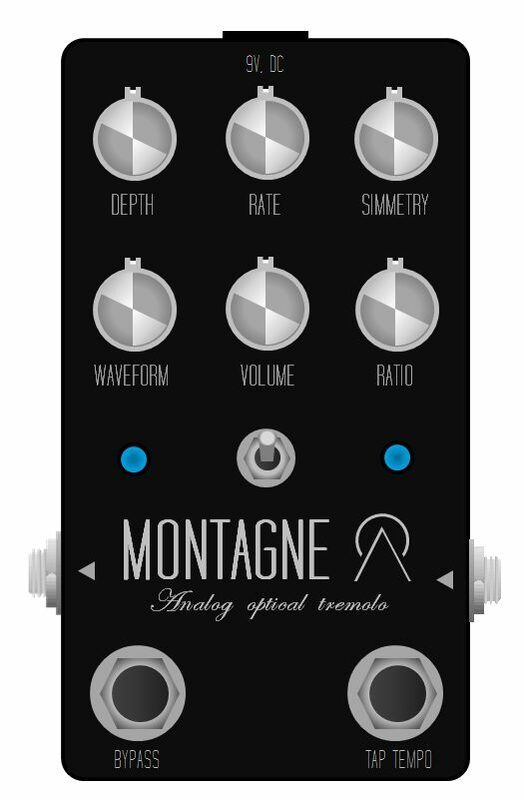 The TAPLFO can generate 8 different waveforms! It was the perfect match for my project! I know, it seems quite complex, but in fact, it is pretty close from the circuit indicated in the datasheet! 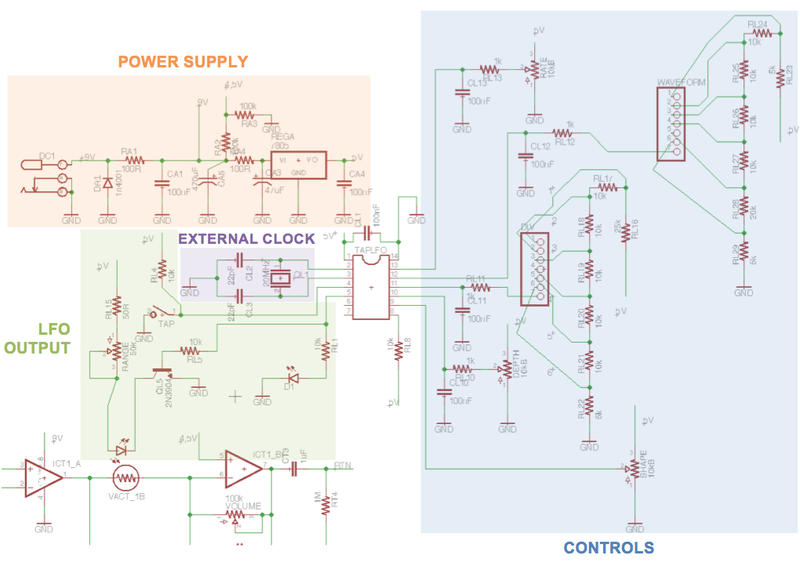 The external clock is required for the chip to work correctly. It is a 20 MHz crystal oscillator (that you can also find in watches, cellphones, computers...) that give the chip a notion of time! It is crucial to adapt the rate of the tremolo, or correlate tapping with the rate of the LFO. Most of the PIC have an internal clock, but it is generally of a lower frequency like 4 to 8 MHz. The power supply needs to provide 3 different voltages: 9V (for the first OP-amp of the analog circuit), 4.5V (second OP-amp) and 5V (for the TAPLFO). The 4.5V voltage is provided by a voltage divider formed by RA2 and RA3. The 5V is provided by a classic 7805 voltage regulator. The power supply also needs to be well regulated to avoid noises, so I added quite a lot of electrolytic and films capacitors, included a gigantic 470uF electrolytic one before the voltage regulator. Finally, DA1 protects the circuit against polarity inversion. Ok so this part seems very messy, but in fact it is quite simple. For the rate knob: 5V will be the minimum rate, 0V the maximum rate, and every other value in between will follow a linear relationship between the voltage and the value. Same for the depth knob and simmetry knob. For the multiplier and waveform: the waveform will be sinusoidal between 0 and 0,6V, then squared between 0,6 and 1,2V...etc Same for the multiplier. The pot form a voltage divider that provide a certain voltage allowing the chip to adjust the speed of the tremolo. For choosing the waveform and time division, I wanted to have rotary switches. However, rotary switches are generally huge... Except for this 1P6T Alpha switch! This way, I was also able to add component on the other side of the board, like a huge 470uF capacitor, and the vacrol that you can see on the above picture! This last part will light up the LED to modify the value of the vactrol. It will also display the waveform and rate on an external LED. The tap tempo is detected by the pin number 4 of the TAPLFO. When the tap tempo is activated, it connects the pin to the ground, which is detected by the PIC. The PIC then calculate time between 2 activations and set the rate accordingly. The only problem is that it consider only the last two taps, no mean between several tapping, so you rather be quite precise when tapping the tempo. There it is! Tracing the PCB was quite difficult, because I wanted it to fit in a 125B enclosure. I find that BB enclosures are really not fitted for a pedalboard: they take large amount of space horizontally and they are not very practical to use. Moreover, as I had to use long lugs pots, I would have to use "tall" 1590BB that are absolutely gigantic, so no thanks! A problem with LFO and high frequency digital devices is that they can generate noise. To avoid that, they should be well separated from the signal circuitery. This is a very complex problem, and they are a lot of engineers out there that struggle with it (especially when designing cellphones). To avoid that I separated the analog and digital ground, and connected them in one point with a big capacitor there. Luckily, it worked well! Using ultrabright LED for the external tempo LED, which reduce the current draw needed for this LED. 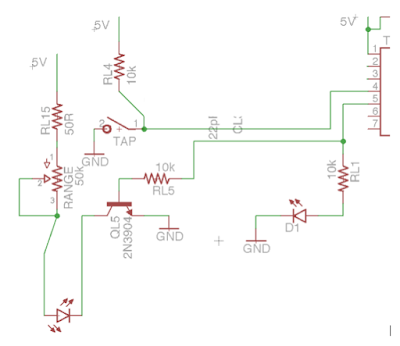 Using a high gain transistor for the LED in the vactrol. Here I used a MPSA18 with a gain of more than 1000! Using a huge 470uF electrolytic capacitor between 9V and the 7805. It will give the bit of missing current when switching on the "on" part of the square wave. I put it horizontally under the top pots. Bypassing the 100 Ohms resistors in the power supply. I prefer to have a small noise due to power supply than this annoying ticking noise! Separating analog and digital grounds. It was long and painful, but it nows work perfectly! Square waves are a really cool feature with tremolos, so I could not give up on it! Ticking LFO noises, and how to get rid of it. 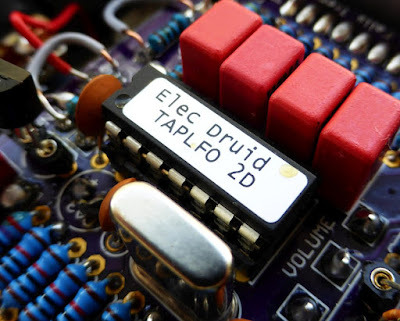 Electric Druid website: lots of cool chips there, take a look! 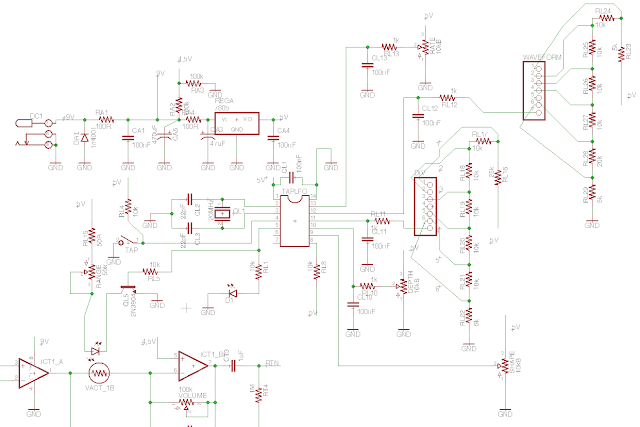 Do you sell your pcbs and schematics? Would love to build this. 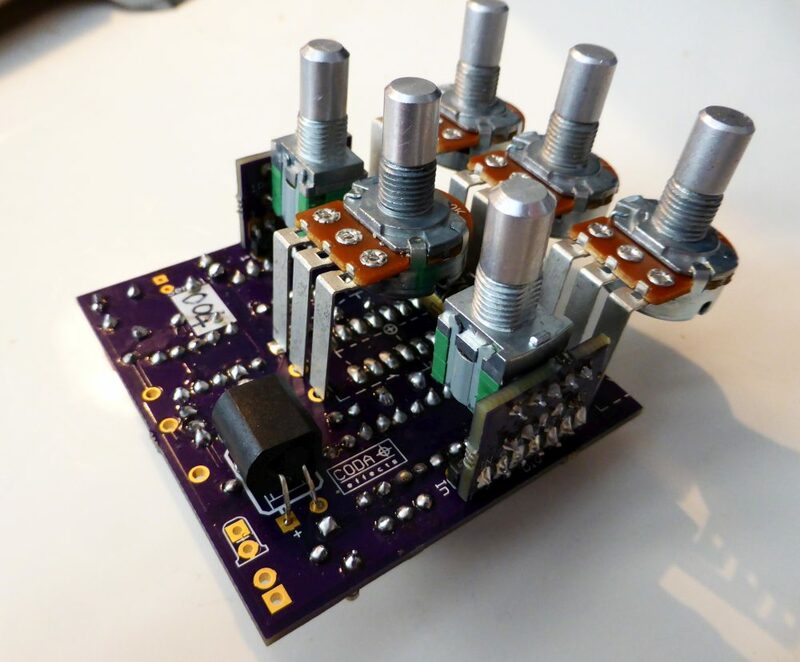 Hello, I will soon be launching a crowdfunding campaign with the PCB and kit of this tremolo. Subscribe to the newsletter so I can get in touch with you when it will be launched! i want one pcbs of this as well!deumal6@gmail.com it's my gmail. I'm also interested by at least one PCB. There are also kits available. Hi Benoit, have a problem with the project.... the depth pot don't work, wiring is ok (pin3 +5v, pin2 to 100nf-1kres and pin 10 of pic, pin1 at GND ) any suggestion ? . Hi there. I'm new to the DIY effect building community and I already learned a bunch from your website. I especially like that you really try to explain why everything works, instead of merely saying that it does. So I encourage you to keep writing those tech articles, people new to this stuff really do benefit from reading this. Related to this page about tremolo I have a question. 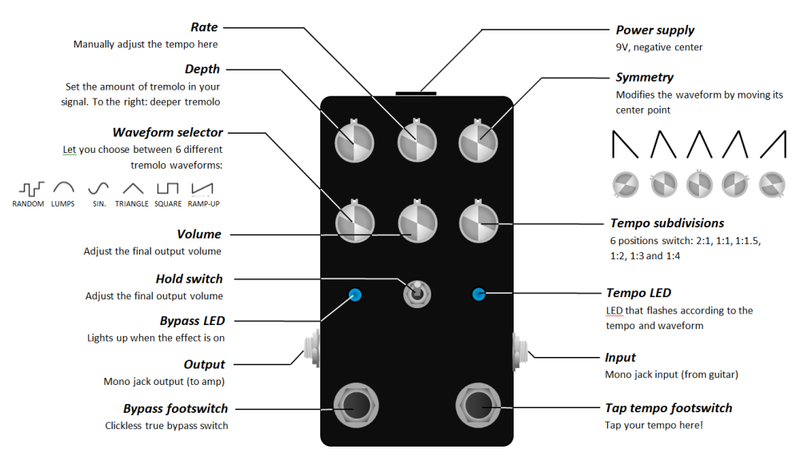 I'd really like to build an (all analog) pedal that combines a fuzz with a (fast) square wave tremolo/stutter. 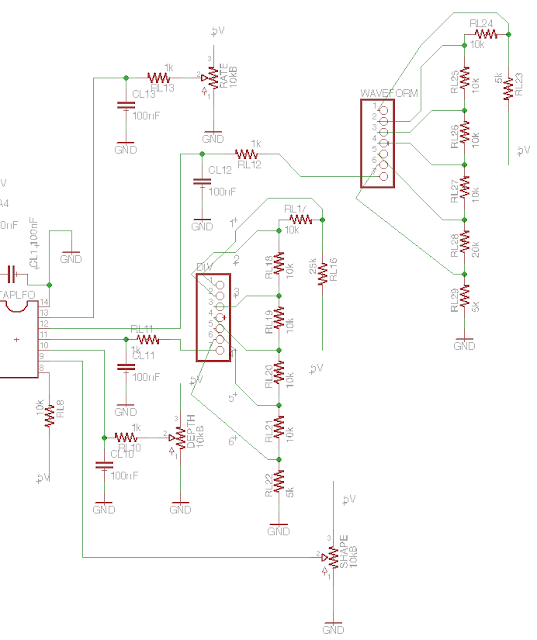 I can find many fuzz circuits only but don't find a lot about stutter effects. Could you give me some pointers? Would be great! A way to make this kind of stutter box would be to use my relay bypass system with the photo FET. 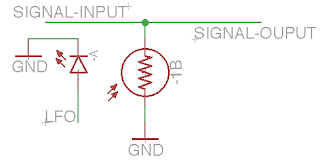 A potentiometer would allow to change the time between activations of the photoFET, which sends the signal to ground. I would love to get a PCB! How might I get one? I didn't see them in your shop. that transtor gain is over 1 thousand!!! !